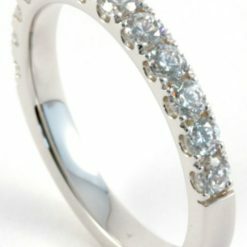 75 round brilliant diamonds in a pave setting combine to create a beautiful radiant sparkle. 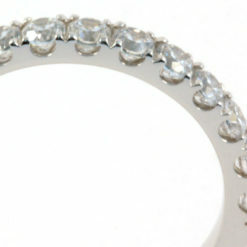 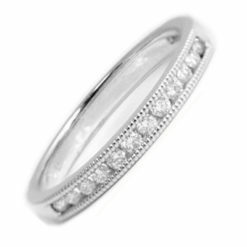 Sparkle shimmers from every angle of this elegant curved pave-set diamond half eternity band. 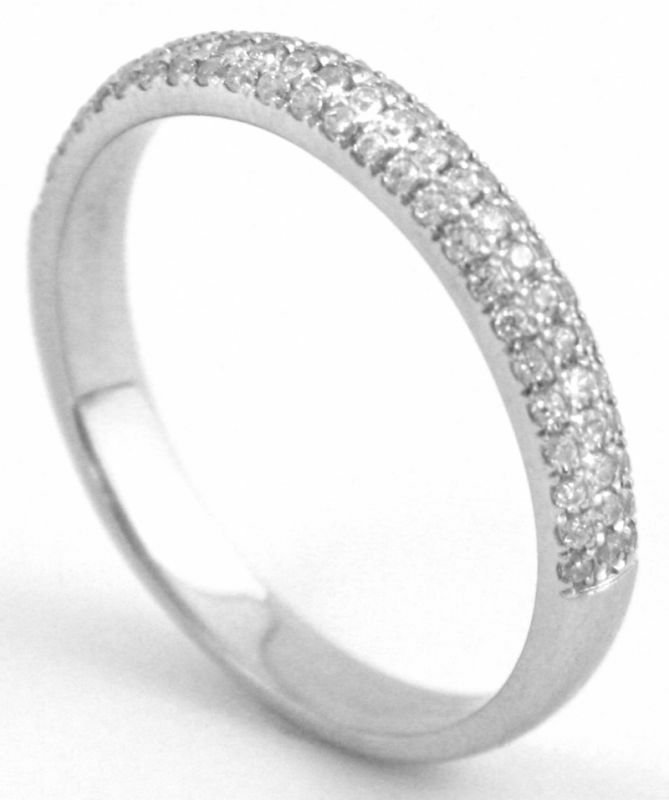 75 diamonds each in a micro-pave setting combine for a total diamond weight of 0.36 carats. 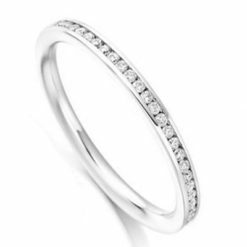 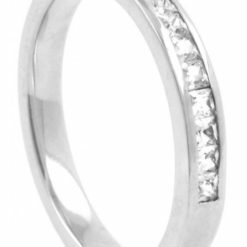 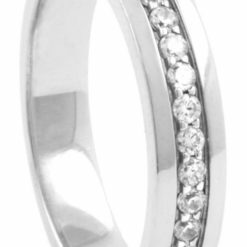 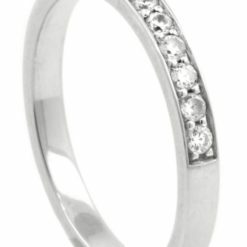 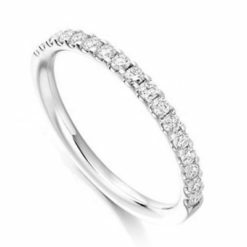 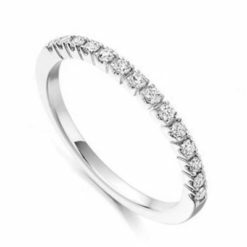 The word pavé comes from the French word for ‘paved’, the setting creates a glittering, unbroken expanse of light and sparkle across the band of the ring. The band is approximately 3mm wide.